My love/hate relationship with fall continues. I love it for all of the activities and coziness and I hate it because it takes us that much closer to winter. Today I wanted to tell you about one of my favorite fall activities that I have been a fan of since I was 14 years old – apple picking. 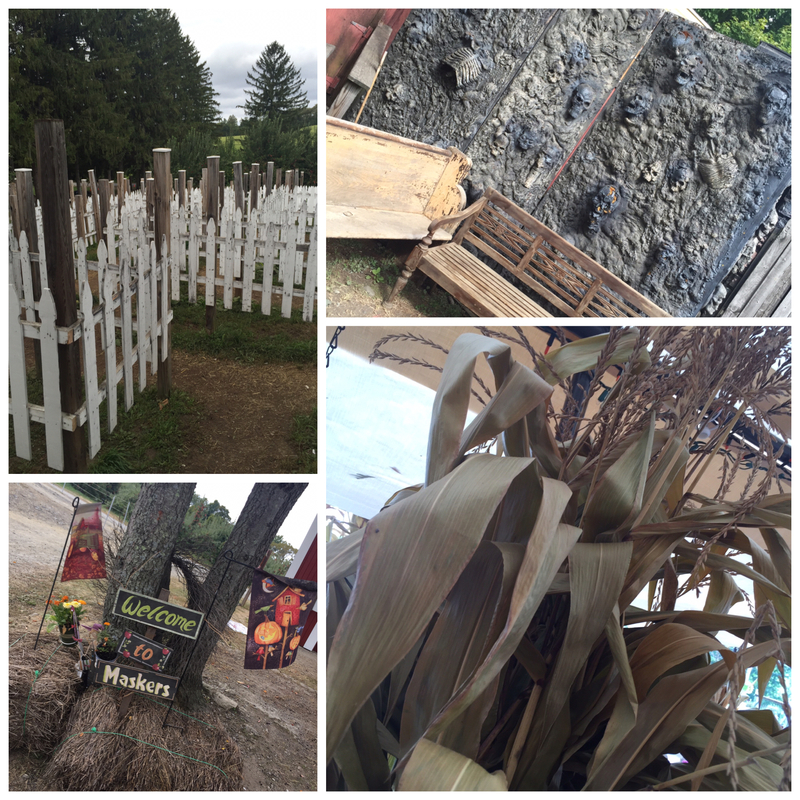 Nothing screams fall, quite like a trip to pick some apples and today I will tell you about my excursion up north to Masker Orchards. 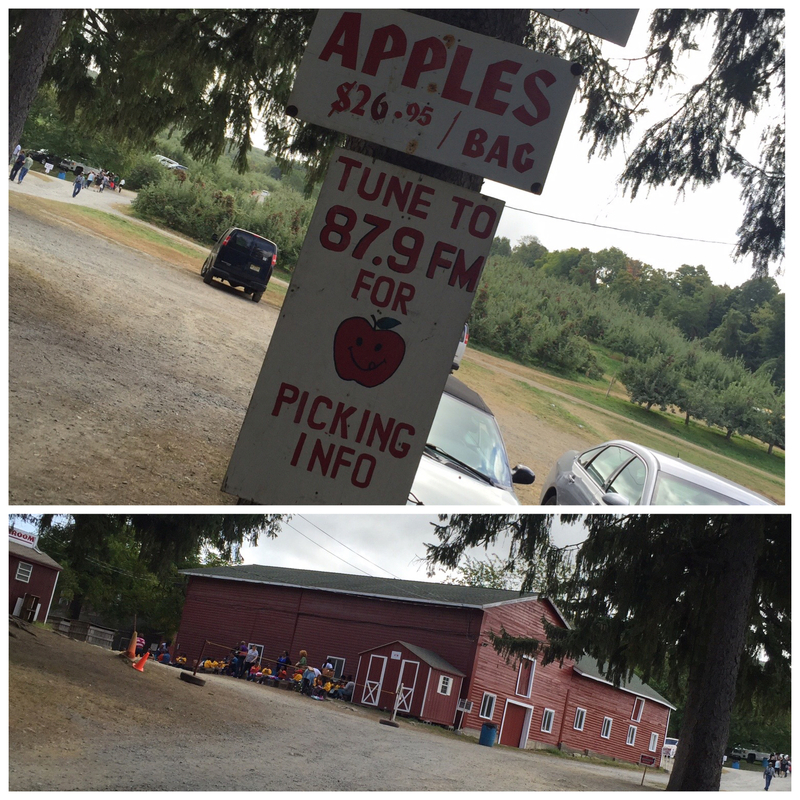 Masker Orchards are located about 1.5 hrs away from NYC in the beautiful village of Warwick. Of course depending on where you are in the five boroughs it might take you a bit faster or longer. For me, our drive was a little under 2 hours, but since it was myself, my sister and my mother – we just chatted away and time flew. Now, you do not necessarily have to go upstate to get some apples, there are plenty of orchards in New Jersey, Long Island and Pennsylvania that you can explore. We chose Maskers as it has been an orchard of choice for everyone in our family, so we tend to stick to what we know. Although Warwick is a mere 1.5 hours away from the hustle and bustle of NYC, it is really a totally different world up there. Roads get curvier, mountains appear out of no where, houses are further apart from one another, no crazy shopping plazas, no traffic, no crowds – just pure harmony. Nature, slow pace, simplicity – is how I would describe Warwick. It takes about a good 15 minutes to drive to Masker’s from the main highway road, and it is the most scenic drive you can ever ask for. As you drive up to Masker’s, you are greeted by an attendant who provides you with a quick overview of the orchard, some rules and regulations (do not shake the trees and your car will be searched on the way out), some free bee’s that you get such as you can eat as many apples as you want for free, you can drive around the orchard and you are provided with your apple picking bags that will have a map of the orchards on them. Right at the entrance there is a county store, an animal farm, WC rooms, a maze, a haunted house and a snack bar, but more about those later. Entrance and parking are absolutely free, all that you pay for are the apples and anything else that you might pick out at the country store. We pulled up into the main “parking lot” if you can even call it that, as it is just an open space in front of an old barn, and got out of the car to start our picking. 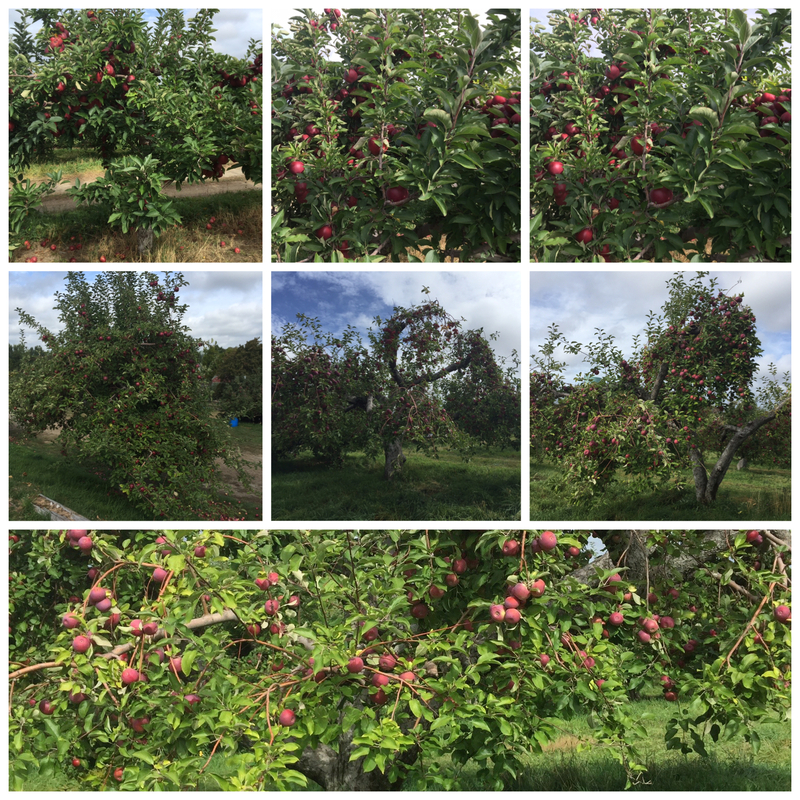 At first we were overwhelmed as there are a lot of apple trees, they all look beautiful and delicious, and believe you me – you will want to take them all! My mother complained about all of the apples on the ground and how it was such a waste of perfectly good fruit and what can be done in order to prevent that. However, her attention quickly shifted to all of the pretty apples on the trees and she forgot about the poor beat up fruit under her feet. I do not think that I need to go into detail about the benefits of picking your own fruits and vegetables, but I will anyway! These are the freshest, most organic, chemical and preservative free produce that you can find. To put it in perspective – go to your local super market chain and you will notice that all of the apples have a glossy, shiny finish. Not the ones right off the trees! These babies have a thin layer of dust, and even after you wash them they still have a matte finish. Now that’s organic for ya! As we ventured deeper into the orchards, we realized that no matter how much we did not want to drive around in the car, we had no choice if we wanted to get to the various apple types. The orchard spans over 200 acres of land, so you can only imagine that manning it by foot is pretty much out of the question. Various apple types span from the famous Mcintosh, Red Delicious, Empires, Granny Smiths to Cortlands, Jonagolds, Golden Delicious and Romes. All of the apple trees are beautiful and apples that are growing on them are all works of art on their own. Just take a peek below. I could not decide on one picture! So I apologize for the overdose. 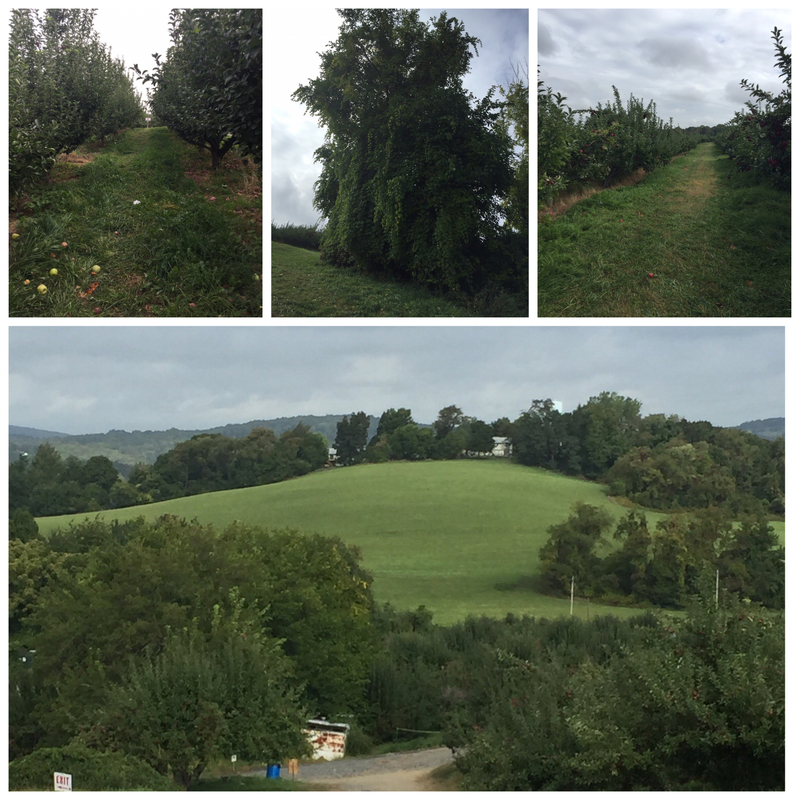 As we were picking our apples, we also couldn’t ignore the beautiful nature and mountains that surrounded us. Living in NYC madness, sometimes we forget that a concrete jungle is not all that is there. As we continued exploring, we noticed that there were a number of families who were having picnics under the trees! And that is allowed too – if you wish you can bring your own food and enjoy it while taking in the scenic views. We did not bring any food, as we were counting on eating at the snack bar. However, the snack bar, which serves apple pies, apple donuts, hot and cold cider, coffee and tea, hot dogs and more, is closed on weekdays and it was just our luck that we came on a Tuesday. Something to consider as you venture out to Maskers – bring your own food if you are going on a weekday. Getting back to apple picking – we ended up with three solid bags and after much deliberation decided that this was enough to last us for weeks! Not only would it cover us, this was also enough to share with friends and family. Having finished our picking, we loaded up our apples into the car and decided to check out what else Maskers had to offer. As I mentioned earlier, most of the fun at the orchards is on the weekend. So you can imagine how disappointed I was to find out that the Haunted House and the Pumpkin Patch were out of commission as well. 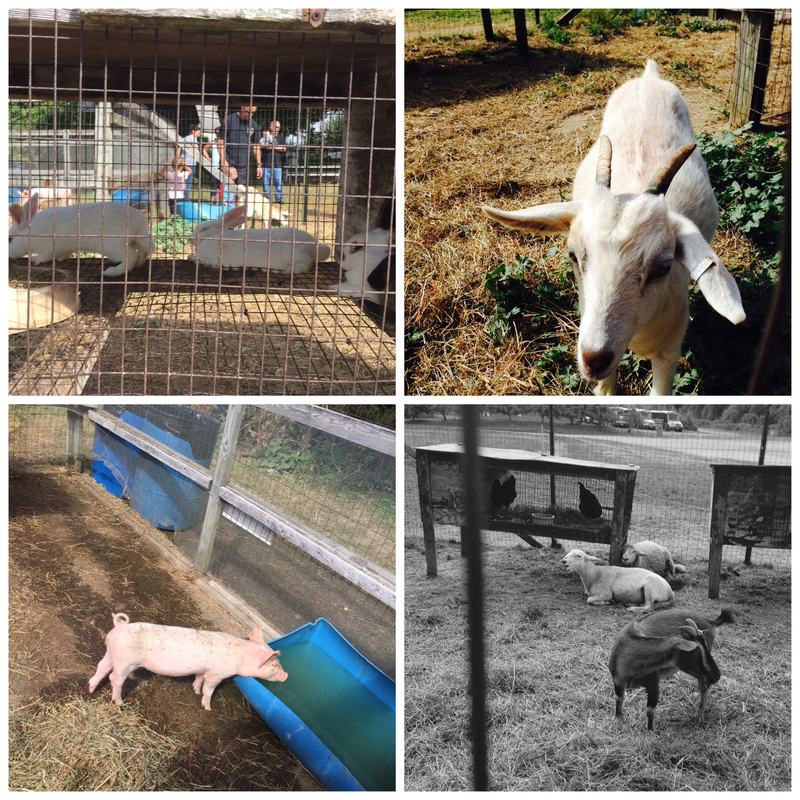 Never the less, I took some pics,squeezing in some Maze action and an animal farm. Our last stop before heading home was the Country Store. It is neatly stocked with organic honey, jams, apple butter, tomato sauces and even some bar-b-que sauces, apple chips and caramel sheets. The store also carries various kitchen ware, such as cookie cutters in pumpkin and turkey shapes, my guess is come Christmas these get rotated out for some Snowmans, Christmas trees and candy canes, honey sticks and lots and lots of candles. My mom stocked up on honey and honey sticks, while my sister picked up some apple chips and caramel sheets. I, however, walked away empty handed as I was too disappointed that the snack bar was closed. After the country store we were ready to head home and as we were having our apples counted up we snagged two gallons of apple cider and let me tell you – it was the best cider I have ever had! Drink it cold, or heat it up – it is just as good either way, and if you want to party, just pour some brandy, rum, vodka or cinnamon schnapps (just not all at the same time ;)) and enjoy! 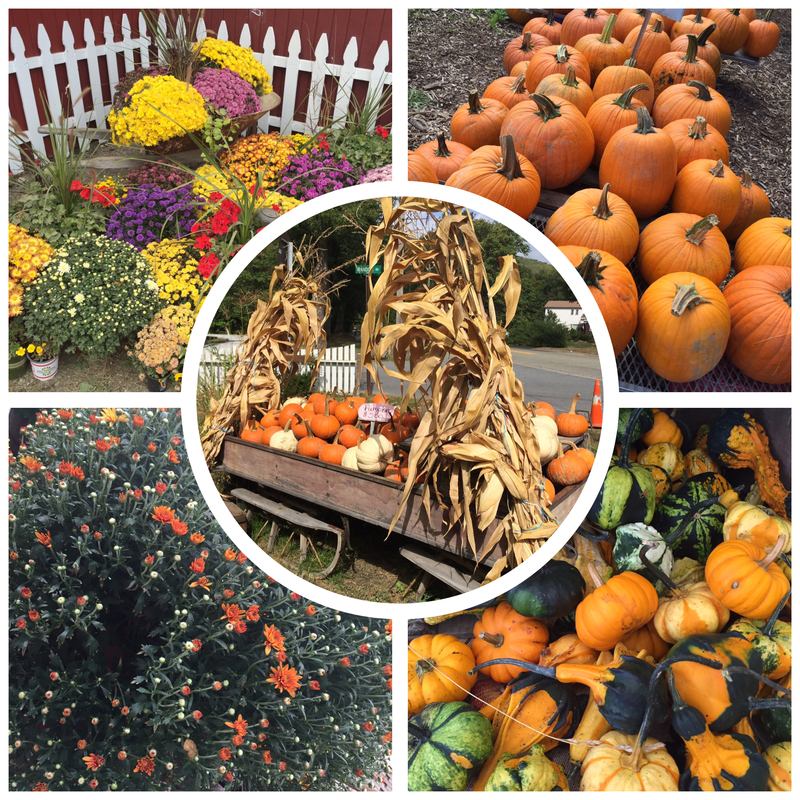 Our last stop in the beautiful Warwick was at an organic pumpkin roadside store and even though we did not purchase anything, it was still nice to look around, take pictures and enjoy the beautiful fall colors. Now, just a couple of pointers – if you are looking to do more than just pick apples – then you definitely need to come on a weekend, especially if you have children. Do check out the ripening schedule if you are looking for a particular type of apple to pick. And lastly, if you do come on a weekday – bring some food with you, so that you can enjoy a nice picnic under the apple trees ;). 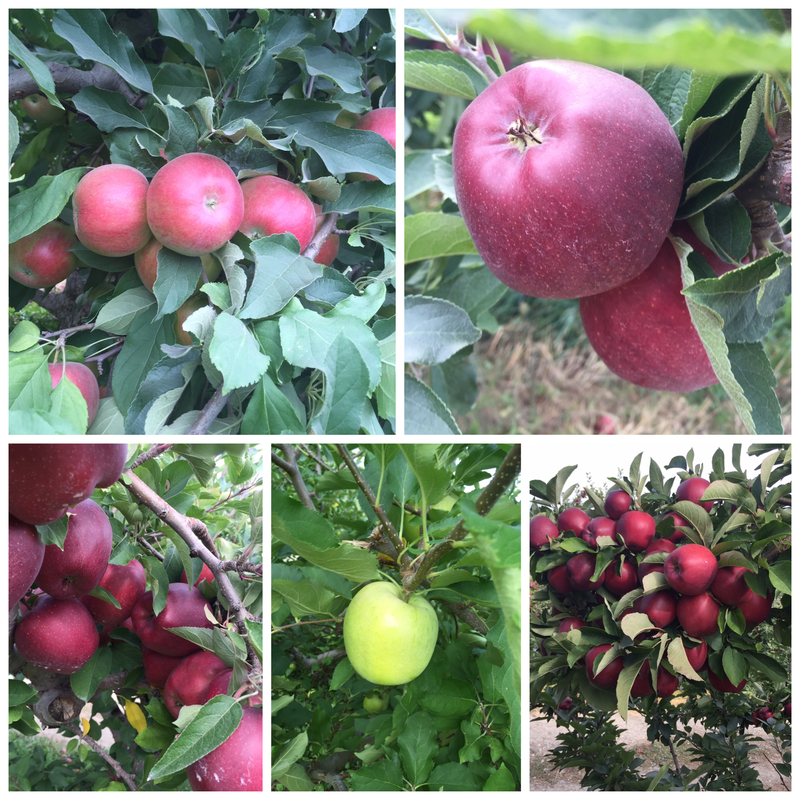 We plan to make this a regular annual activity for our family and I hope that this post will inspire you to check out the orchards with your own.